The KONUX System helps infrastructure managers improve network availability, prolong asset lifetime, and empower their employees to make maintenance more efficient. Railway networks have to cope with increasing load and aging infrastructure. As maintenance needs get more frequent, manual inspections don’t suffice to detect them in advance. Switches are the most critical part of the rail infrastructure, causing approximately 20% of infrastructure-related delay minutes and costing €12bn a year globally to maintain and replace. The dashboard gives you a 24/7 overview of all your critical assets and their condition. Combining that with the operational importance of the asset, you can act on your key availability drivers directly from the comfort of the office. In addition to current issues, our advanced AI core is also able to predict when the degradation of each component will reach critical levels. That allows you to plan better the timing of maintenance measures, such as tamping, or grinding a frog, for example. This way, you are in control of your maintenance needs and asset availability. 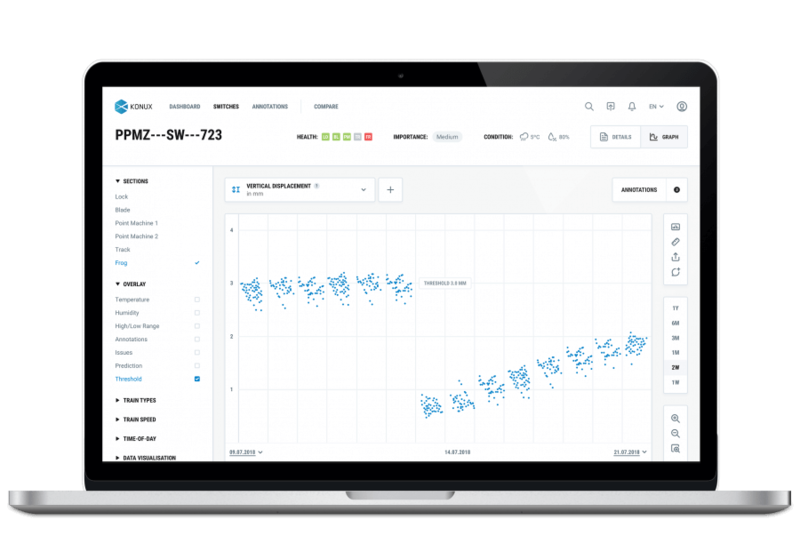 Once maintenance actions have been taken, you can validate the results immediately, without the need to send teams to the field. With time, you can compare different maintenance approaches and learn which are most effective and efficient. Each of our internet-of-things sensors can easily be deployed in the field in under ten minutes. They are self-monitoring and durable, with a battery life of two years. 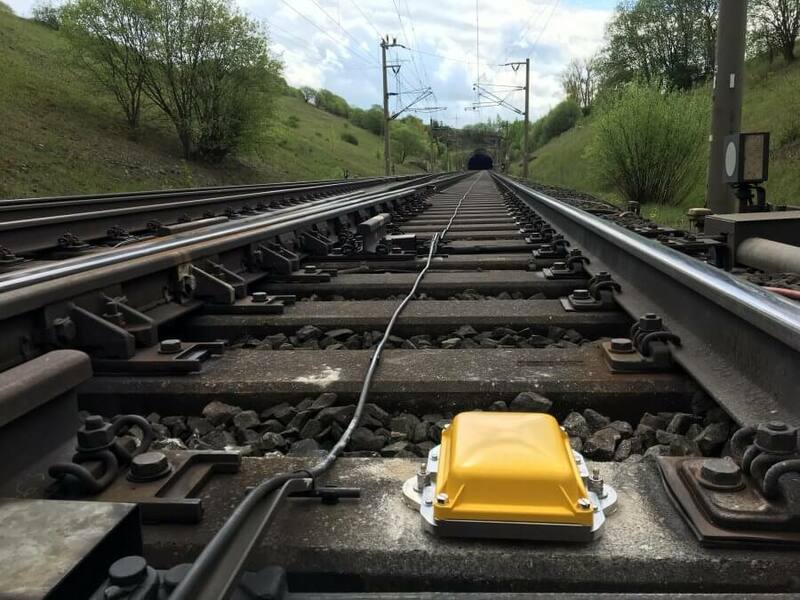 The sensors are mounted directly onto the track sleeper and continuously measure key parameters such as vibration and acceleration without disrupting regular traffic operation.